Sunny and Georgia have been best friends ever since they were just tiny puppies. The adorable pair lived together with the same family for their entire lives — until one day, their family was no longer able to care for them, and unfortunately had to give them up. 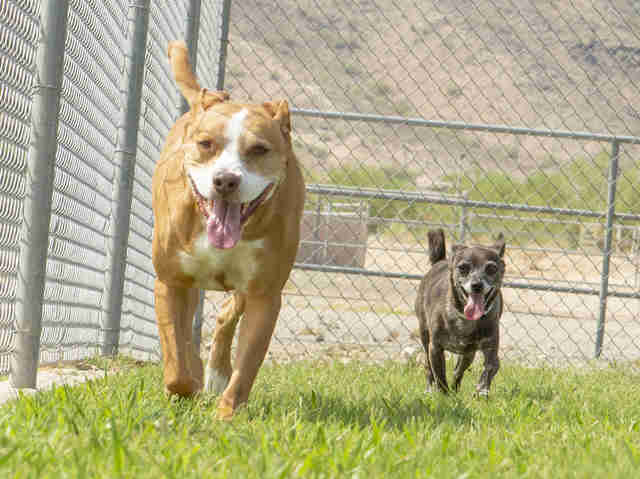 The sisters were surrendered to the Arizona Humane Society (AHS) in March, and as soon as they arrived, they made it very clear that they absolutely refused to be separated. Sunny and Georgia could not be more different if they tried. 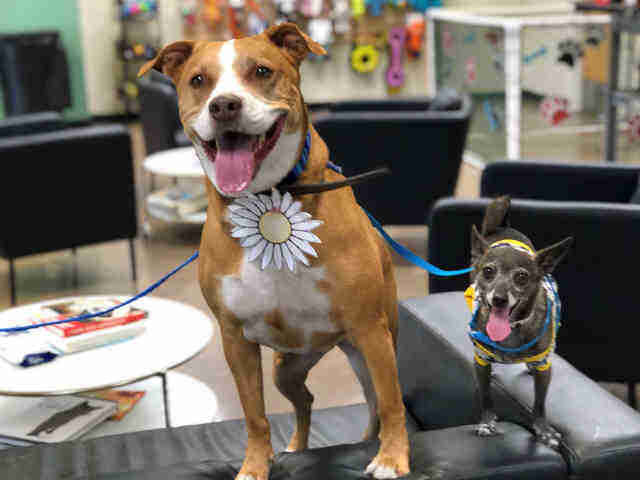 While 7-year-old Sunny, an American Staffordshire terrier, is incredibly adventurous and always excited to greet any new people who cross her path, 8-year-old Georgia, a Chihuahua, is much more cautious and reserved, and tends to follow behind her sister, letting her take the lead in most situations. Despite their differences, the pair could not love each other more, and get incredibly upset any time they’re apart. After being taken away from the only home they’d ever known, Sunny and Georgia seemed to grow even closer, and now rely on each other for comfort and stability. They’re never happier than when they’re together, and love spending their days chasing each other outside and then cuddling up together for some downtime. “Although it has been an adjustment for both adorable pups, they know that as long as they have each other everything will be just fine,” Dickerson said. 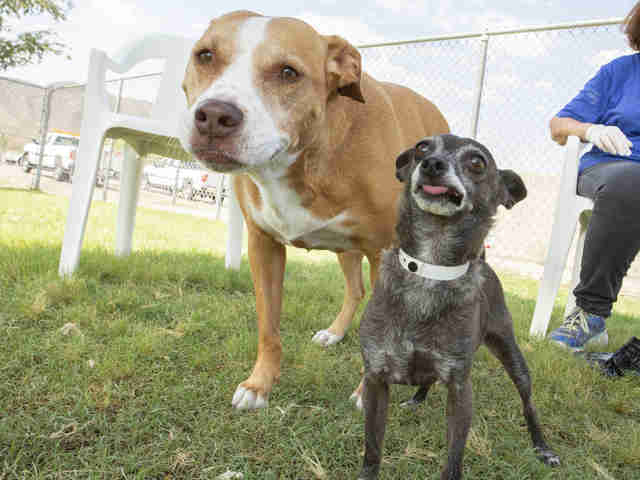 Due to their incredibly strong bond, Sunny and Georgia have to be adopted into a new family together. They thrive when they’re together, and separating them would not be healthy for either of them. 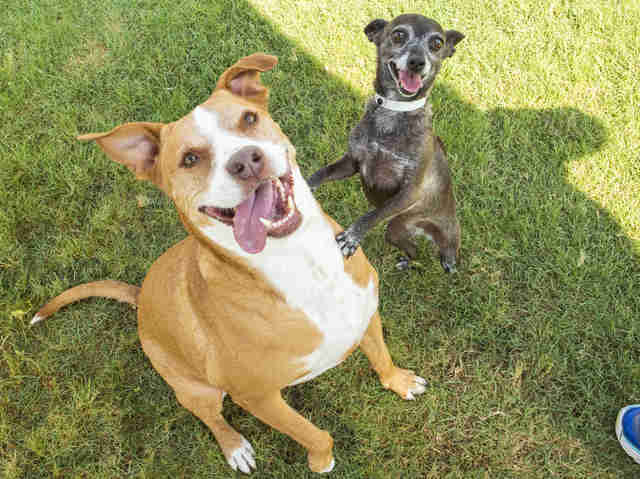 Unfortunately, it can be difficult to find a new home for one dog, let alone two, and that’s why Sunny and Georgia have been waiting for a new home for 128 days and counting. Sunny and Georgia would love a home where they have lots of space to run around and chase each other, but otherwise, they don’t have any glaring requirements. All they want is a family who will love them and is willing to take a chance on them both. “Anyone who has spent any amount of time with them know that these two girls are very special and will make great and loving companions,” Dickerson said. 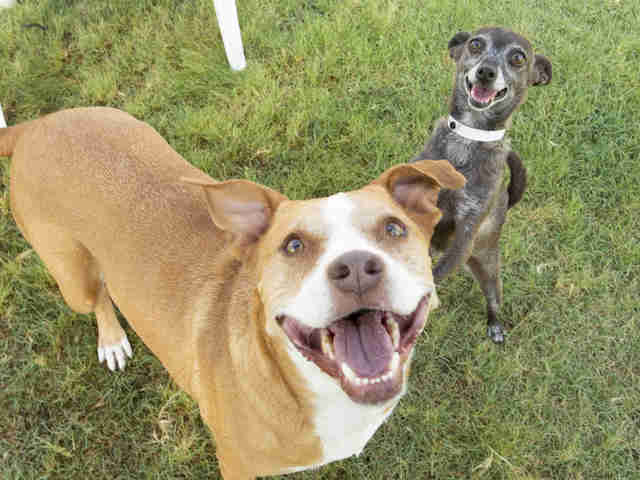 If you’re interested in adopting Sunny and Georgia, you can contact the Arizona Humane Society for more information.